Whether you’re hosting Thanksgiving at your house or you’re packing up the car – and the kids, the pets, the kitchen sink – to travel somewhere else, this time of year can seem particularly hectic if you don’t plan ahead. Of course, there’s no guarantee that planning ahead will result in your desired outcome, but it could significantly improve your chances of having a smooth holiday. Keep reading for more information on how The Arena App can help you plan for whatever this Thanksgiving holds for you! This list could go on for a while if you’re not careful. 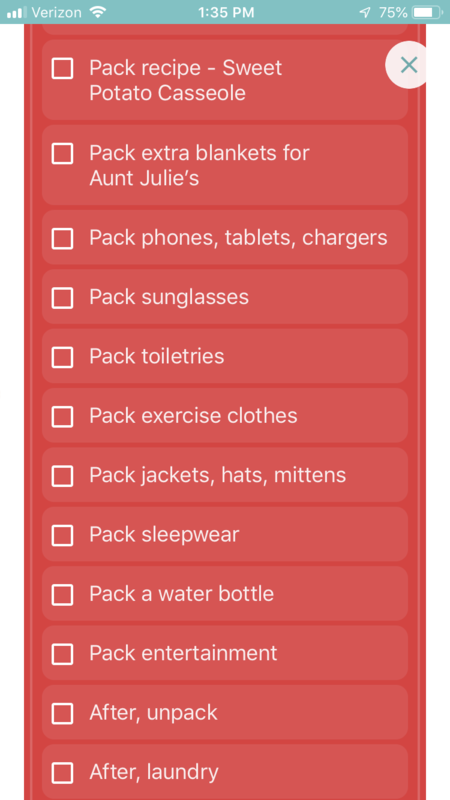 The Arena App can help you keep track of all of these questions, as well as everything you will need to do to prepare and pack for the trip. 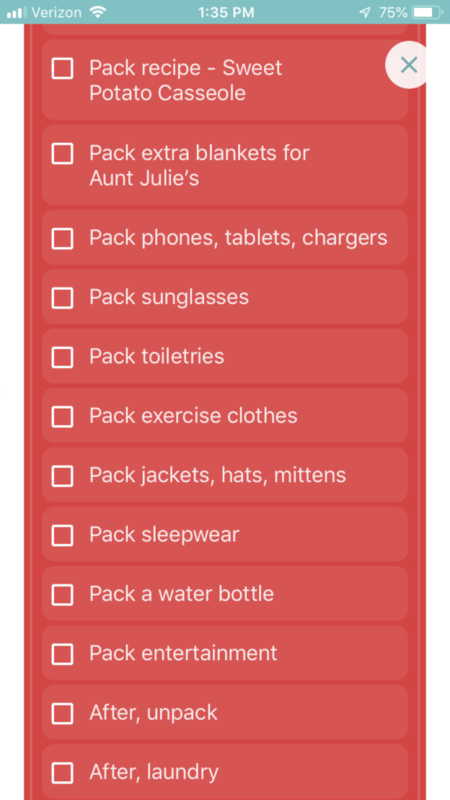 Our pre-built checklist – Planning for a Trip – will come in handy in this situation, and can be edited to suit your specific needs. You can also create your own checklist for all of those lingering questions you need to have answered in advance. The Arena App can help you easily manage all of these things as well. It may be beneficial to break up the planning into different projects (Guest List – Invites, RSVPs, dish requests; Cleaning – Laundry, dishware, house; Day of: Cooking list/times, table prep, clean up). 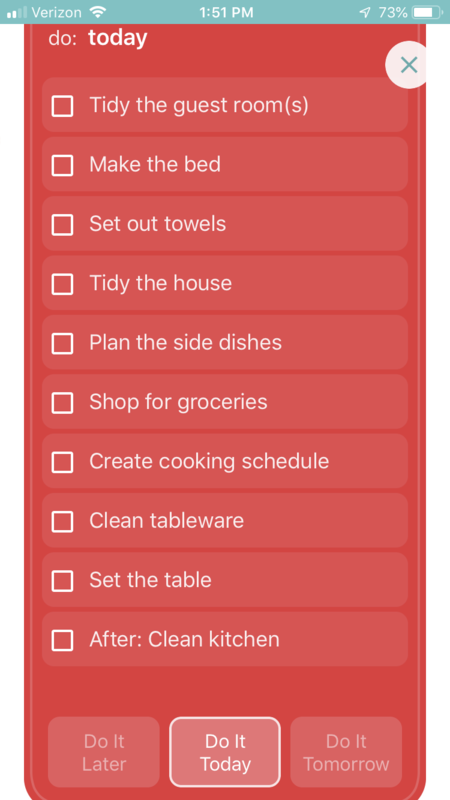 Each project you create could then have its own checklist, to keep things more manageable. 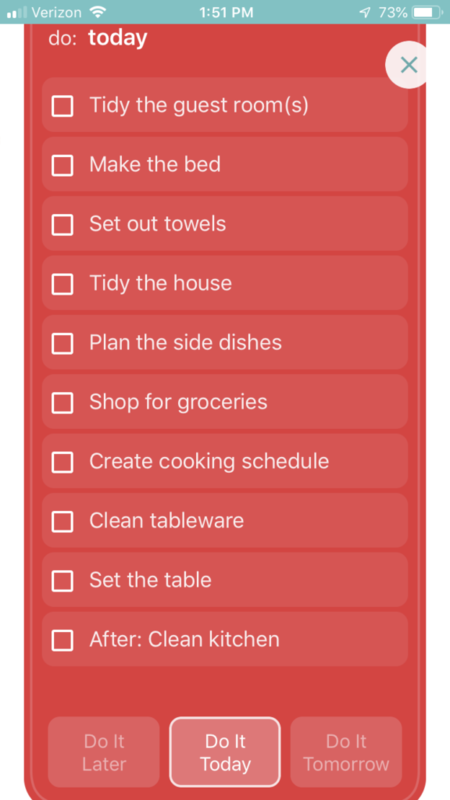 Or if you prefer to just have it all in one place, create a task for Thanksgiving Prep, assign yourself A LOT of points for it, and plug in your own custom-made checklist. This will help you stay on top of your to-dos for the day (and the days before) so that you can avoid rushing around at the last minute while trying to fit 6 casserole dishes in the oven. 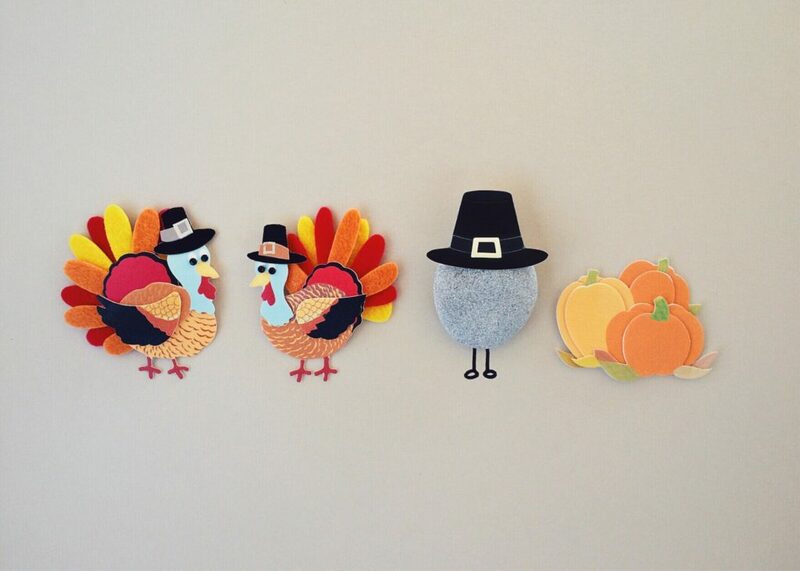 No matter what your plans are for Thanksgiving, or how you choose to handle them, make sure to allow yourself time to appreciate the people around you. Pause, take a breath and enjoy the moment it all comes together. Whether you’re hosting Thanksgiving or hitting the road for the holiday, be grateful to those around you who helped the day come together.